Peering down into this 3000 foot deep gash in the Earth from the rim of the canyon, Nuestra Señora de La Paz, Bolivia is truly a sight unlike any other I’ve come across. 30+ story skyscrapers disappear into the canyon floor, while the homogenous color of red brick envelops the steep walls from floor to rim, seemingly clinging tight to any available surface. 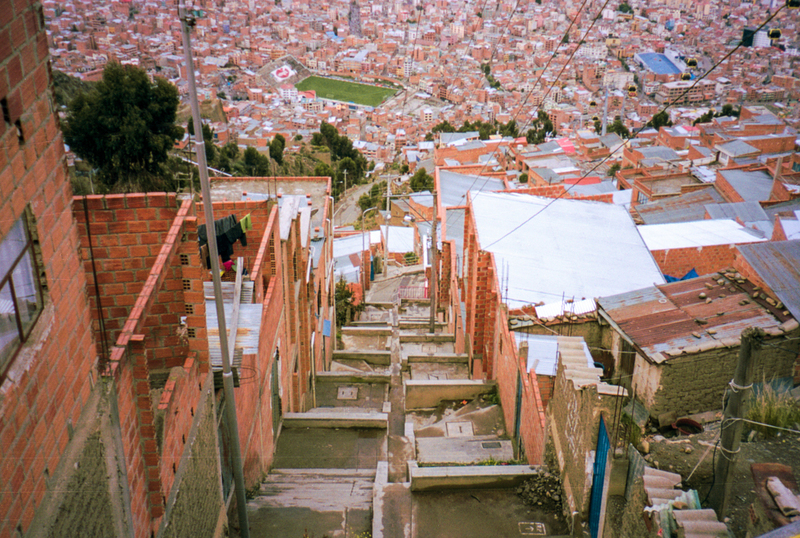 In this relatively inhospitable environment, huge numbers of Bolivians have chosen to build a life, build their own homes, and build a city, which I really grew to admire over my time here.